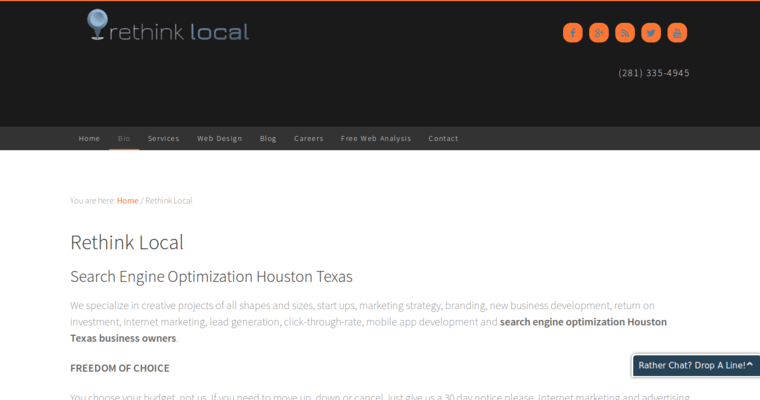 Rethink Local is a web marketing agency in Houston, Texas. They offer innovative internet marketing solutions that distinguish brands from the crowd and optimize the return on their investment. They are SEO experts and adept in PPC, Google, Bing and Facebook ads. The client is the priority at Rethink Local and every effort is made to understand and meet their needs. The extensive list of services offered by Rethink Local includes website design, SEO, logo design, social media, email marketing, lead generation, brand building and PPC management. Through the development of lead generation strategies, they attract your target customer and create an engaging user experience. 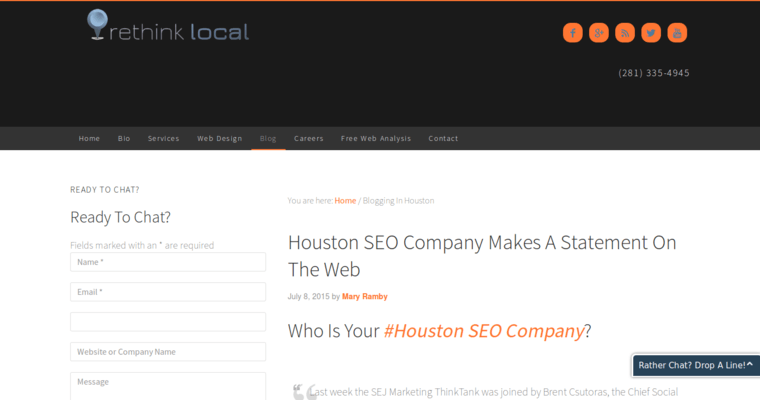 Rethink Local is transparent about their methods and the tools they use to provide end-to-end support for local web marketing. 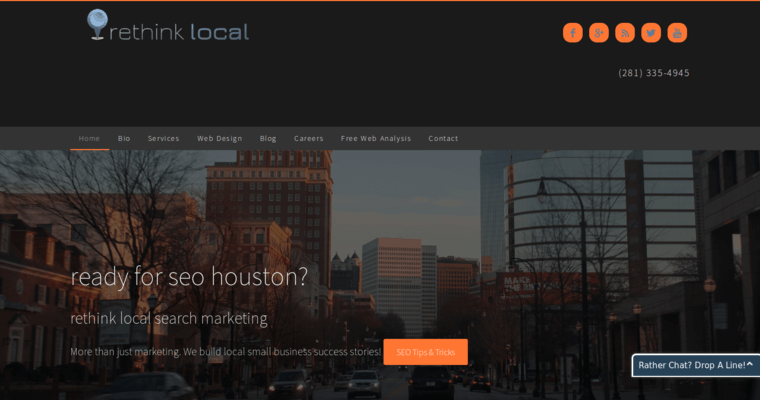 Whether a business is interested in a custom web design or a WordPress website, the experts at Rethink Local navigate the strategy to accelerate growth.